The Weekend Golf format is very different from the Classic Golf format and it is important to know how to build winning lineups and attack these contests over on DraftKings. Simply put, Weekend Golf is all about scoring. Fantasy points for finishing positions are no longer awarded so selecting the right golfers for your lineup will require the right mix of golfers who started off well and others who might just be finding their form for a solid weekend run. 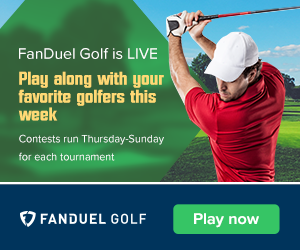 Unless DraftKings brings back weekend golf – please let them know if you’re unhappy – all prices listed for full weekend will be FanDuel. The Saturday names to consider are all DraftKings pricing. Weather consideration: Rain is likely Saturday overnight, which means Sunday morning should see very soft conditions; this will help hold the greens, but make carry distance more important as the ball won’t roll out in the fairways nearly as much. Winds on both days will be in the 6-12mph range which is a touch more than on Friday, but shouldn’t be anything to be concerned about. MDF consideration: Not this week, Satan!